So we’ve helped making the tool that helped Orange customers learn more about the carrier’s 4G service. But what if my simcard is RED instead of Orange? 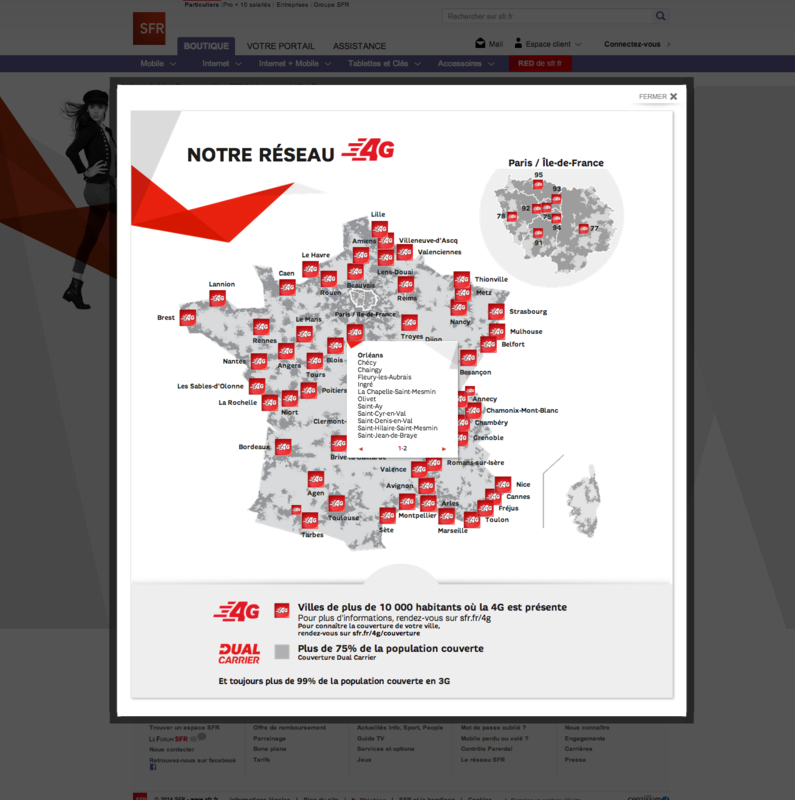 Check out the network coverage of SFR 4G service to know. Although the front-end looks familiar (well a network coverage map is a network coverage map) things are pretty different under the hood. It’s not a separate website, instead the code is embed into’s SFR.fr main CMS (proprietary). All updates are made via Excel sheets (uploaded and converted to XML then parsed to update HTML markup using jQuery). The scope and planning were 6x shorter than Orange.